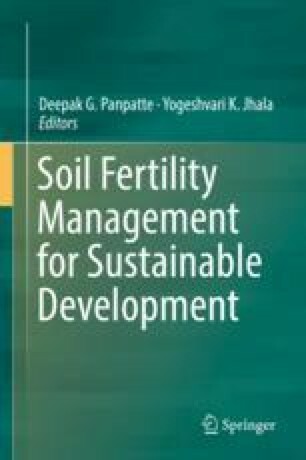 Declining soil fertility has become a major constraint affecting agricultural productivity in sub-Saharan Africa. Since 2000, several ISFM technologies have been introduced in SSA to address widespread soil degradation on the continent. While studies have shown that ISFM could contribute to increasing agricultural productivity in SSA, several institutional constraints continue to limit its use in the region. In this chapter we have shown how ISFM could contribute to increasing the productivity and profitability of agricultural production in maize-based farming systems in Ghana. We conclude with suggestions to design intercropping research involving grain legumes and cereals to optimise the system in terms of resource use and yield by exploiting legume genotypes that are high yielding and well adapted to intercropping systems.